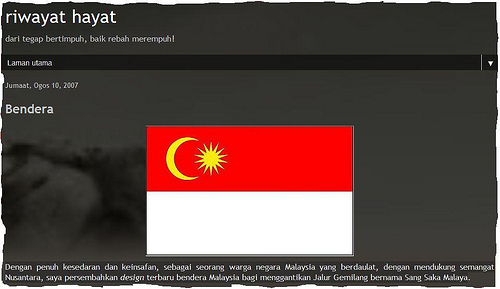 Sang Saka Malaya Controversy: Is Pakatan Behind the Red and White Flag? As I mentioned in my earlier post, ‘Malaysia… A Republic Nation?‘, the demonstrators of Janji Demokrasi or Janji Bersih caused a controversy when they caused havoc amidst the Merdeka Day celebration on the night of 30th August. The group in which most wore the yellow t-shirts were seen displaying and waving red and white flags which they called Sang Saka Malaya instead of the Malaysian flag, Jalur Gemilang. To add insult to injury, they even distributed pamphlets demanding for Malaysian flag to be changed from Jalur Gemilang to Sang Saka Malaya. Opinions vary widely on the matter with a few saying that it is the youths’ rights to learn and to introduce to others the so-called historical flag while most insisting that the action is against the ethical values of Malaysians, showing no respect to the country, as well as endangering the harmony of the country. 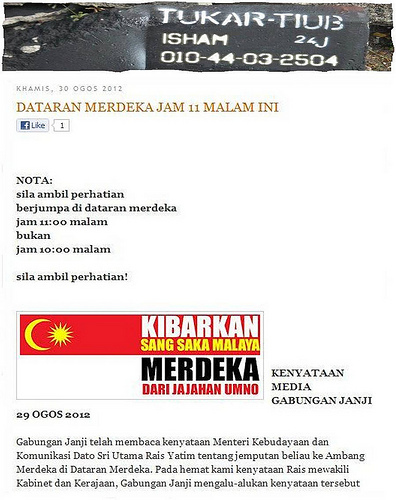 Now, who is behind the Sang Saka Malaya? With the obvious association between Bersih and Pakatan Rakyat, most speculated that the Pakatan Rakyat is behind the incident and that Sang Saka Malaya would be the new Malaysian flag chosen by the Pakatan Rakyat if they ever succeeded in their mission to ‘tawan Putrajaya’. A blogger, Serigala Selatan who owns the Singa Selatan blog claimed that he and a friend, ‘Zairi Shafai’ are the ones who were responsible for these flags and that he wasn’t representing any political party. Anwar Ibrahim also denied claims that Sang Saka has got anything to do with Pakatan Rakyat. But does anyone still remember what DAP assemblyman, YB Manoharan Malayalam wrote in his facebook last year about our Jalur Gemilang? 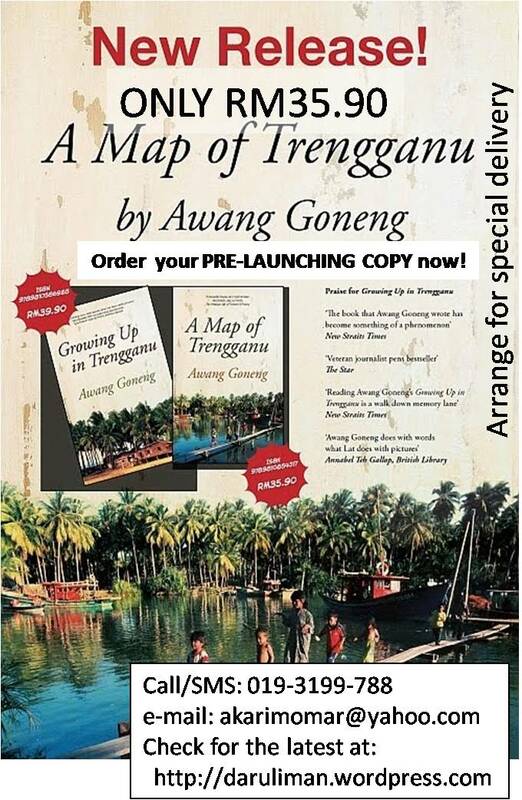 He wrote that, “Pakatan will come up with a new flag” for the reason that our Jalur Gemilang is ‘too BN than Malaysian’ and “the flag must go” in referring to the current Malaysian flag. And if that is not enough to contradict Singa Selatan and Anwar Ibrahim’s statement, Hishamuddin Rais who is one of the main organisers of the Janji Bersih demonstration even made an announcement on his blog, tukartiub, telling people to bring and wave the Sang Saka Malaya at the demonstration. Hishamuddin Rais is also one of Anwar’s close associate. Hishamuddin Rais, Najwan Halimi and Manoharan Malayam are all members of the Pakatan Rakyat and yet their words seem to be shouting to the world that yes, we are the ones behind all this and we are proud of it. In fact, while denying the fact that Pakatan Rakyat has anything to do with Sang Saka Malaya, Anwar Ibrahim went on to support the actions of waving the Sang Saka Malaya during the Merdeka celebration saying that it is the youths’ rights to bring back the old flag, claiming that it is a good idea to educate the public about our struggle for independence. He went on further to associate the Sang Saka Malaya with the independence fighters hence to justify and to prove that not only there is nothing wrong with the actions but their initiative should be praised by the public. So are the rumours true that Sang Saka Malaya would in fact be made the new Malaysian flag if Pakatan Rakyat were to win the coming general election? In the first place, why must Malaysia need a new flag? But if it is true that they want a new flag, why must they choose Sang Saka Malaya which was used by the leftist group that was rejected by the majority of Malaysians even before our independence? What else are they secretly planning to change if they gain the power? And what are their true agendas behind all their questionable actions? Would Malaysia still be a peaceful sovereign country or would our beautiful country be turned into a chaotic republic, breeding rebels with anti-establishment mentality? Please read the history of Sang Saka Malaya to find out who had use the flag before our independence hence to try to see the light in why this flag was brought out again after more than 55 years. Click here to read a good article written by Professor Datuk Dr Ramlah Adam of University Malaya on the history of Sang Saka Malaya (unfortunately it’s in Malay). Not only the demonstrators of ‘Bersih 4.0’ disappointed many people with their illegal assembly last night causing the government to cancel the annual Merdeka countdown for safety purposes (and they claim that the Malaysian government are violent!) but they also shocked people by distributing phamplets demanding for the change of the Malaysian flag. Interestingly, only weeks after last year’s Hari Merdeka, a DAP assemblyman, Manoharan Malayam wrote on his Facebook profile that Pakatan Rakyat would be coming up with a new flag design since the current flag is ‘definitely out’. With the obvious connection between Bersih and Pakatan Rakyat, (even the 55th Merdeka Celebration logo that Pakatan Rakyat proposed after rejecting the official logo was displayed on the ‘new flags phamplet’ ), does this mean that the flags displayed is what Pakatan Rakyat has come up with to replace Jalur Gemilang if they win the election? And since Singapore and Indonesia, the two nearest republican countries from Malaysia are using identical flags, could it be true that as ‘Agenda Daily’ puts it, ‘Are they planning to turn Malaysia into a republic nation?’.